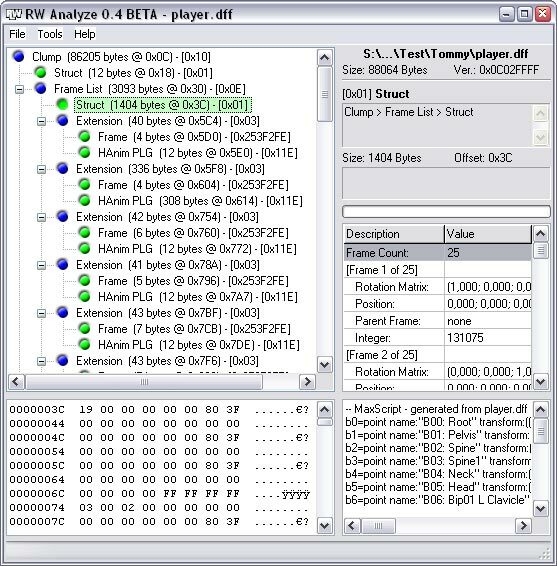 RenderWare binary stream files (like .rws, .anm, .bsp, .dff, .dma or .txd) are hierarchically structured binary data files used by the RenderWare 3.x graphics engine. RWA allows to view those files, including the contents of individual components and the hierarchical structure of the stream. Furthermore the tool offers various modification possibilities.